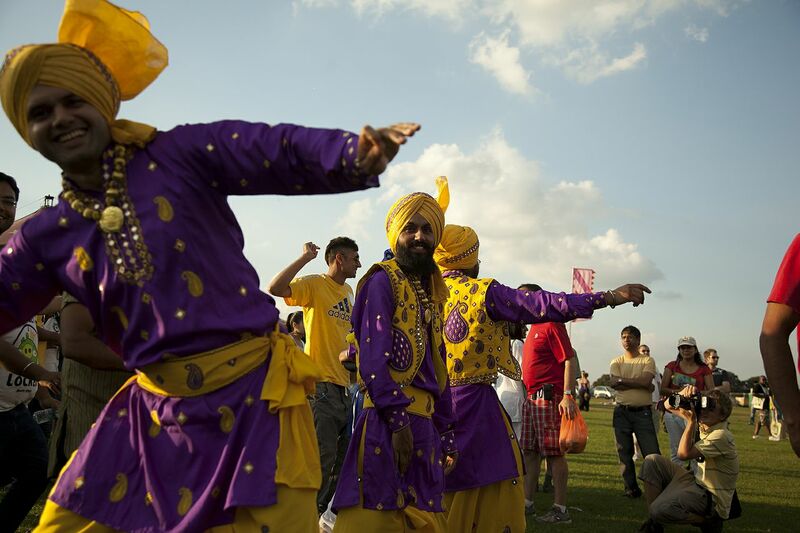 The London Mela – Europe’s largest outdoor south Asian festival – returns to Gunnersbury Park, Acton, on Sunday 1 September. Last year’s Mela was a creative triumph spectacularly celebrating the events tenth edition on the hottest day of a golden 2012 summer. This year the festival is set to be even bigger and better than ever, with nine zones including The Main Stage, The BBC Asian Network Mix Tent, The Classical Stage, The Magic Mela Family Area, spectacular Outdoor Arts performances, Tastes of South Asia Food market, Funfair, craft and exhibitors market, plus a new sports area featuring Skype Cricket Nets and Sporting Equals. 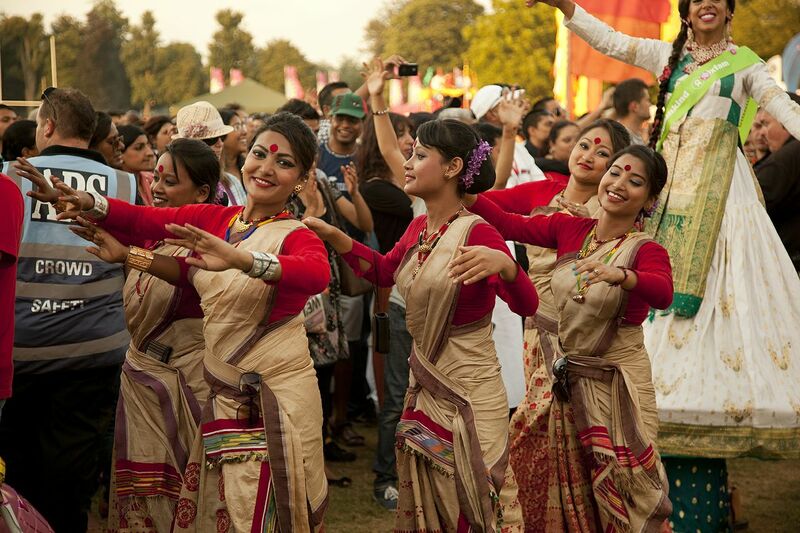 Free, family-friendly and universally loved, the London Mela is produced by Ealing and Hounslow Councils and supported by the Mayor of London, with BBC Asian Network a major partner for the 8th successive year. 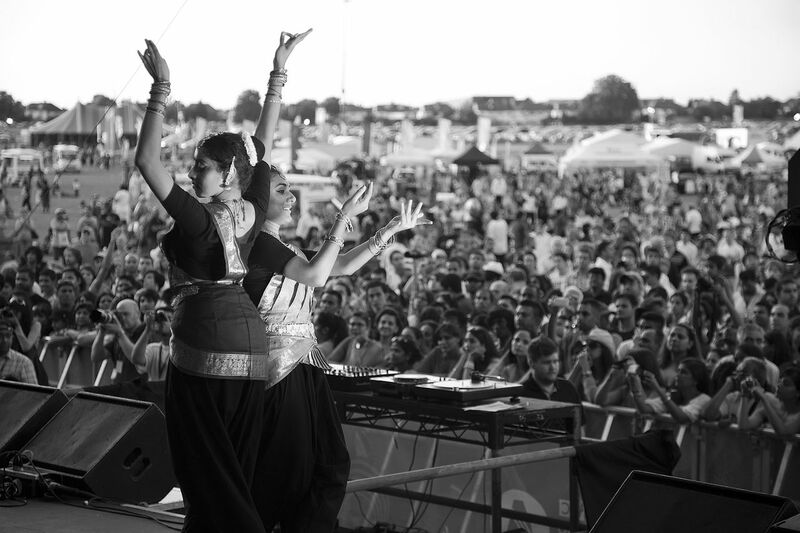 Featuring a huge variety of artists from around the world as well as a plethora of homegrown acts, the London Mela truly has something for everyone. On the Classical Stage – supported by the British Heart Foundation and compered by Ashanti Omkar – there will be performances celebrating Asian communities’ heritage, This year’s Classical stage is honoured to host the Philharmonia Orchestra performing with Amaan and Ayaan Ali Khan, and conducted by David Murphy, who recently conducted the World Premiere of the Symphony by Ravi Shankar at the Royal Festival Hall. This is a new presentation of Ustad Amjad Ali Khan’s “Samaagam”* produced especially for the London Mela and performed by composer’s two sons Amaan and Ayaan. Amaan and Ayaan are masters of the lute-like Sarod and are the 5th generation in a family of musicians who claim their ancestor, Mohammad Hashmi Khan Bangash, invented the instrument. Amaan and Ayaan have also presented the Indian talent show Sa Re Ga Ma and recorded fusion and world albums. Like Vanessa Mae they have a celebrity profile to go with their virtuosity. *Meaning confluence, or ‘coming together’, Samaagam is based on ragas for the different season of the year and explores the common roots of the music of India and the West. Nukhut celebrate the 10 year anniversary of the award-winning arts company with 10 larger than life characters, celebrating each year of the company’s involvement with the Mela since its inception, animating the open spaces of the event with a specially choreographed dance piece. Nutkhut’s latest show – Swyron – A Vedic meets Victoriana inspired, Steampunk super sleuth, will make its UK Mela Premier at this year’s event. Spellbound is a thrilling tale of love, jealousy, betrayal and daring told through shadow theatre – a modern take on shadow play using real life, local performers in place of puppetry. Inspired by the ancient Indian epic Ramayana, the story follows the destiny of soon-to-be King Rama and Queen Sita, and the twist of fate that sees their future placed in peril. A fusion of traditional dance, theatre, pyrotechnics and fiery special effects guarantees Spellbound will provide a spectacular conclusion to the London Mela’s 11th Edition. For children and the forever young there is Magic Mela – in association with Emergency Exit Arts – a delightful, interactive space where visitors can experience the magic of the Family Area, Tastes of South Asia Food market, Funfair, craft market, exhibitors, Skype Cricket Nets, Sporting Equals. The London Mela Fashion Show – join us for an exclusive preview of the Neishaa Gharat For Oxfam collection. Oxfam Tent, 1.30pm, 4pm and 6pm. Long time friends of the London Mela bring their typically diverse selection of live bands to the party. For media enquiries – including details about press accreditation on the day – please contact: Gerry Lyseight, gerry@glpr.co.uk / 020 7095 8146 (number not for publication). For more details on the artists and hi-res photos, click here. 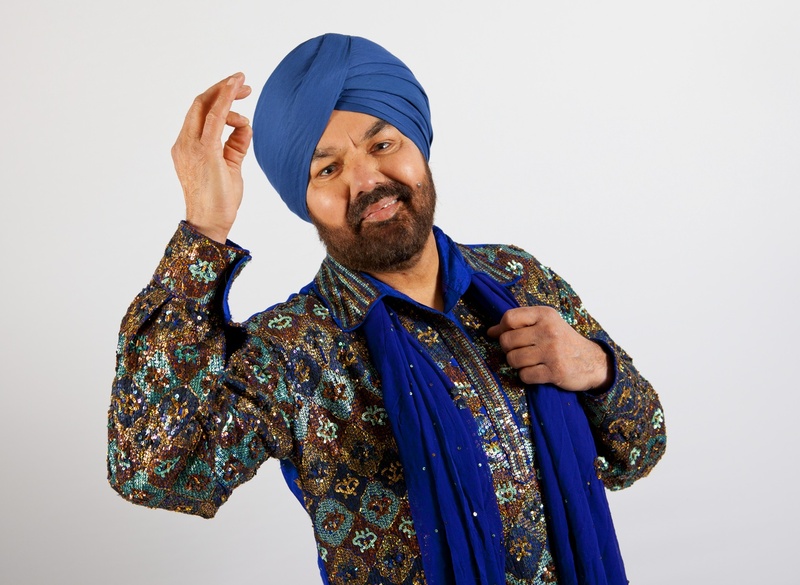 AS Kang is undoubtedly one of the biggest stars in the Punjabi music scene and the only Punjabi singer to have hit songs in 5 consecutive decades as well as being the first UK-based Punjabi artist to break into the Indian Market. 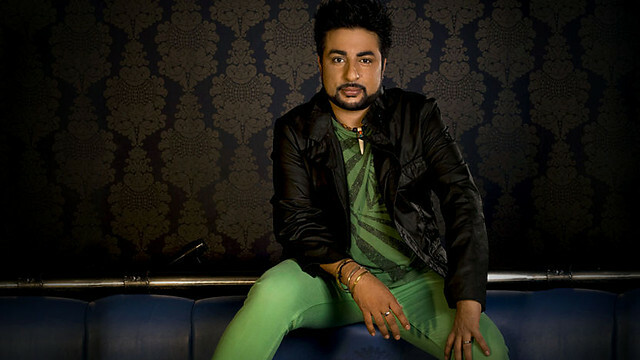 Bally Sagoo is regarded as one of the pioneers of the British Asian Music scene. His Bollywood remixes (Chura Liya, Mera Laung Gawacha) are refix classics and his collaboration with Ustad Nusrat Fateh Ali Khan on the album ‘Magic Touch’ brought him international fame. He was the first Indian to be playlisted on National Radio, when “Chura Liya” was played on BBC Radio 1, and went on to tour India with Michael Jackson on the HIStory Tour. 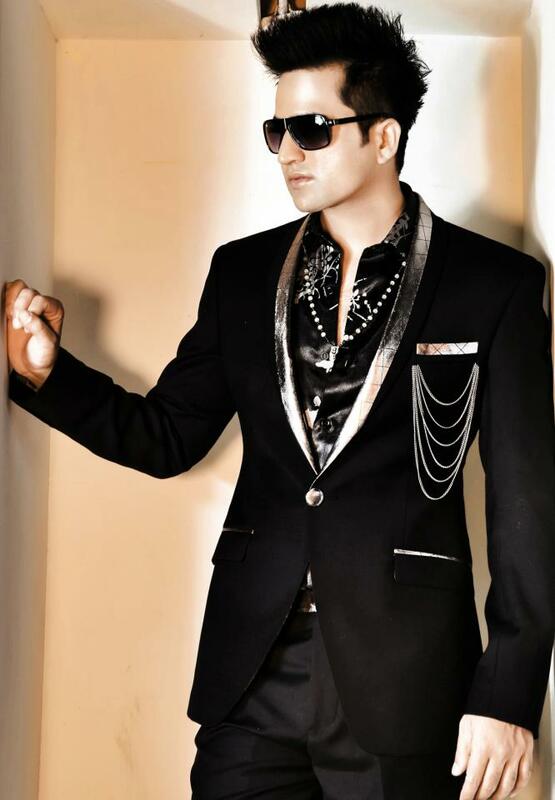 Falak hails from Karachi, Pakistan and his debut single Rog was a massive hit. In 2012 he featured on the soundtrack for the film ‘7 Welcome to London’ receiving critical praise for his song ‘Tera Saath Ho’. He continued his success in 2013 by lending his voice to Bollywood films: I, Me Aur Main, Nautanki Saala and I love NY. Nafees released his debut single ‘Mehmaan’ in 2011 which was massive. He followed this success by releasing ‘Bukhaar’ which went straight to Number 1 in the Official Asian Download Chart. His singles ‘Dua’ and ‘Teri Yaadon Mein’ remain favourites. His new release “Sazaa” sees him teaming up with Mumzy Stranger. Arjun Singer-songwriter and producer Arjun was born in Sri Lanka and moved to the UK when he was 4 years old. From an early age, he learned to play the piano, guitar, saxophone and drums. He won Best Urban Act at the UK Asian Music Awards and is most famous for his singles “Run Away” and “Vampire” which features Raxstar. Their name is derived from “Raas” the traditional Indian folk dance performed with sticks. San2 At the age of 22 years old, San2 came from nowhere. His debut track ‘Nayo Lagda’ went straight to number 1 in the ITUNES world chart with its soulful qawwali vibe. 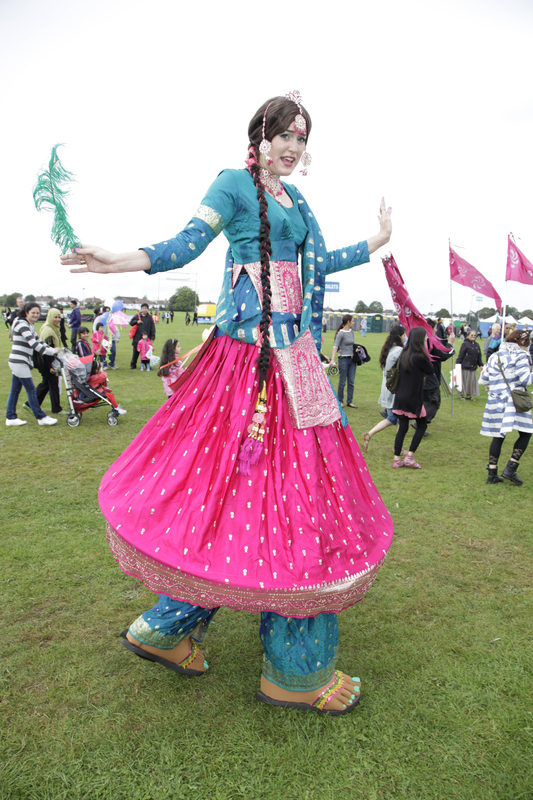 The London Mela takes place in Gunnersbury Park, Popes Lane, London W3 on Sunday 1 September from 1pm to 8.30pm. Nearest underground is Acton Town. The park is in the Boroughs of Hounslow (although owned by both Ealing and Hounslow Boroughs), and is one of the largest green spaces in west London. The event is free and open to all. 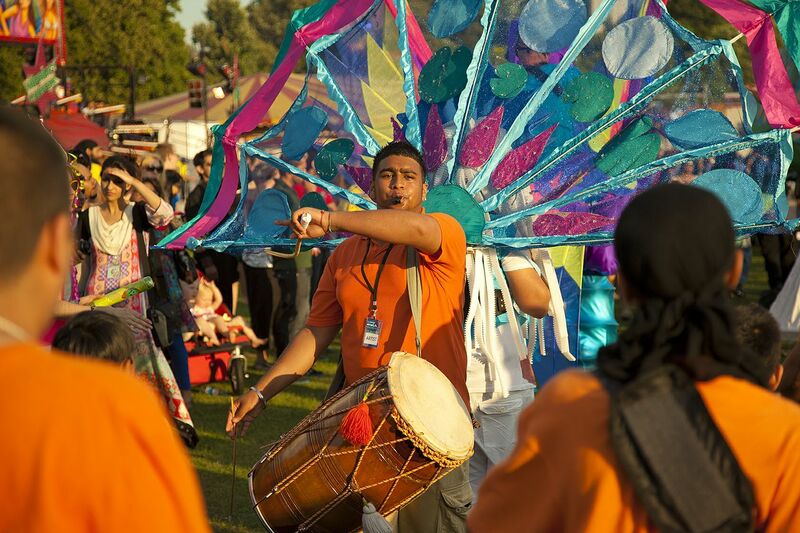 The London Mela is produced by Ealing Council, and supported by the Mayor of London and London Borough of Hounslow. Other partners include BBC Asian Network. The main sponsor this year is Skype with British Heart Foundation and Oxfam as charity partners. BBC Asian Network is a national digital radio station providing speech and music appealing to anyone interested in British Asian lifestyles. The station broadcasts the best in Bollywood and Bhangra music, as well as R’n’B and Hip Hop and British Asian Underground. The Asian Network also broadcasts news, discussion programmes, documentaries and reflects British Asian arts and culture. You can listen to the Asian Network online (bbc.co.uk/asiannework), via DAB radio, on digital TV and via the BBC Radio Player. Mela is a Sanskrit word meaning ‘to meet’, which is used to describe all sorts of community celebrations and festivals in the Asian subcontinent. 13.2% of London’s population is Asian [2001 census], making up more than one in eight Londoners. The London Borough of Ealing has one of the largest Asian communities in London (24% – 73,851). Hounslow has 24.7%, Brent has 27.8% and Harrow has 29.7% of its population as Asian – all neighbours of Ealing. His musical journey began in the 1970s. He is undoubtedly one of the biggest stars in the Punjabi music scene. He brought your classic hits such as Aashiq Tera, Giddian Di Rani and Aish Karo. He puts the Kang in Kang Fu. It can only be the legend, the maestro A.S Kang. He hails from Karachi, Pakistan His debut single Rog was a massive hit. In 2012 he featured on the soundtrack for the film ‘7 Welcome to London’ receiving critical praise for his song ‘Tera Saath Ho’. He continued his success in 2013 by lending his voice for Bollywood films. I, Me Aur Main, Nautanki Saala and I love NY. He is regarded as one of the pioneers of the British Asian Music scene. His Bollywood remixes (Chura Liya, Mera Laung Gawacha) are refix classics. His collaboration with Ustad Nusrat Fateh Ali Khan on the album ‘Magic Touch’ brought him international fame. Albums such as Wham Bham ,Bollywood Flashback and the Star Crazy series have made him an inspiration for the new generation of music producers and musicians. Nafees had a passion for Music since a young age. 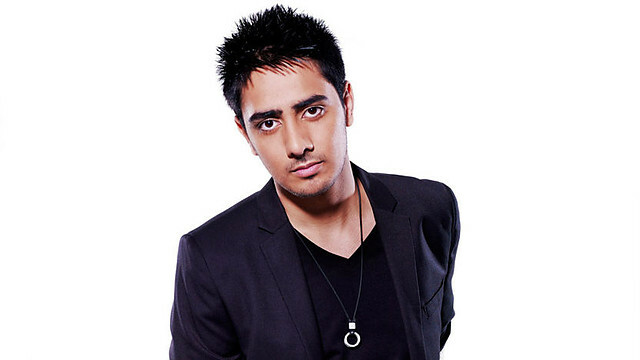 He released his debut single ‘Mehmaan’ in 2011 which was a massive success. He followed this success by releasing ‘Bukhaar’ which went straight to Number 1 in the Official Asian Download Chart. His singles ‘Dua’ and ‘Teri Yaadon Mein’ remain fan favourites. At the age of 22 years old, San2 came from nowhere. His debut track ‘Nayo Lagda’ went straight to number 1 in the ITUNES world chart with its soulful qawwali vibe, his vocals are a breath of fresh air for the music industry. Their debut single was “Sona No”, the first ever commercially produced Gujarati dance remix. A young talent of the seventh generation in an unbroken chain of the Senia Bangash School, Amaan Ali Khan, is the eldest son and disciple of the Sarod Maestro Amjad Ali Khan and grandson of Haafiz Ali Khan. Initiated into the fine art of Sarod playing at a very tender age, he began his public performances as early as eight. Accompanying his father to various music festivals in India and abroad, he has today, carved out a niche for himself. His performances have evoked creditable applause. His precision in tunefulness and his bold and resonant strokes are all pointers to importance of tradition and continuity in Indian Classical Music. 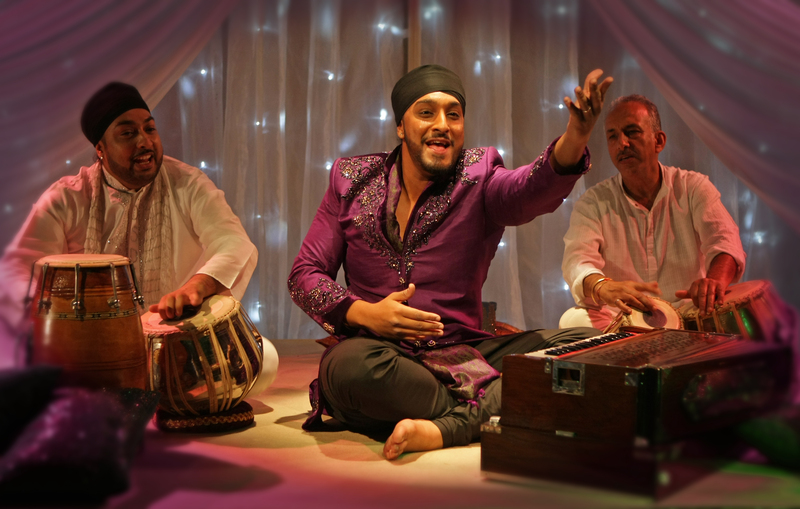 Amaan is one of the most loved artists of India today and has performed in most of the mainstream Music Festivals of India, in India and abroad. He performed in 1986 at the Festival of India in Moscow at the age of eight. Thereafter, Amaan made his UK debut in 1990 and his US debut in New York at the Asia Society in 1991. In 2005 Amaan composed for the music for the film American Daylight by academy award winner Rodger Christian. The spring of 2005 saw collaboration at the Savannah Music Festival in Georgia with the Derek Trucks Band. Same year, he featured with his father in Real World Record’s much-acclaimed album Moksha in May 2005. In July 2006 Amaan collaborated with Evelyn Glennie at Queen Elisabeth Hall at the Rhythm Sticks Festival and also appeared at the WOMAD Rivermead Festival. His electronica lounge albums titled Reincarnation (2005) and ‘Truth’ (2006) won him critical acclaim. In 2009, he played at the United Nations in New York in presence of Ban Ki Moon to commemorate the Ode to Peace Concert along with his Father. In April 2011, , Amaan collaborated with American Folk artist Carrie Newcomer at Lotus Arts Festival in Bloomington along with his father and brother and also performed at The Palace of Fine Arts in San Francisco. He performed recently at New York’s Metropolitan Museum and The Lensic in Santa Fe. The same year, his performance with his father recorded at Wigmore Hall released under the ‘live at Wigmore Hall’ series in UK. The latest album Rang – Colors of Sufism released in March features Amaan and Ayaan’s interpretations of traditional Qawwalis on the Sarod in 2012. Awards and accolades came his way early in life. From 2000 to 2001, Amaan hosted a music series on Zee TV called ‘Sa Re Ga Ma’, with his brother. In October 2002, he received Provogue Society’s Young Acheivers Award for performing Arts. A recipient of the MTV’s Lycra Award for the Most Stylish person in Music in 2006, he was honoured recently by the Mayor of the City of Tulsa, Oklahoma with the Keys to the City along with an Honorary Citizenship and the Bharat Shiromani Award for Instrumental music in 2007. He was also recently felicitated by the Swiss brand Raymond Weil for his achievements over the years at the launch of their new collection of timepieces titled Freelancer, in 2011. In addition to playing the Sarod, Amaan co-authored a book with his brother, Ayaan titled ‘Abba-God’s greatest gift to us on his father’s life’ in November 2002. Roli Books, Lustre Publications published the book as a part of their ‘Family Pride’ series. Amaan has also anchored Top Drive, the all new television series on Star World that was aired from January end2003 for five episodes. He also took part in the relay for the 2004 Athens Olympics in New Delhi in June 2004. In early 2010, he co-authored his second book with Ayaan called “50 Maestros 50 Recordings” for Harper Collins and also released an album called “The Music Room” and “Sarod Symphony” with his father and guru. Amaan performed at the Central Hall of the Indian Parliament on the commemoration of India’s 60th year of Independence in 2007. Amaan recently performed at Stanford University’s Dinkelspiel Auditorium at the end of his father’s Stanford University residency. Earlier this year Ananta Opus 195, a concerto for sarod, symphonic and electronic orchestra Written by Pierre Thilloy and performed by Sarod maestro Amjad Ali Khan, Amaan Ali Khan and Ayaan Ali Khan with the Avignon Provence Symphonic Orchestra and the Kords Collective, conducted by Samuel Jean premiered in India. Ayaan Ali Khan represents the seventh generation of a musical lineage known as the Senia Bangash School. The younger son and disciple of the Sarod Titan Amjad Ali Khan, Ayaan stepped into the world of music and the Sarod, at a very early age, with confidence, clarity, consistency and technical mastery that he learnt at his father’s knee. Ayaan has been performing concerts in India and world –wide, since he gave his solo debut at the age of eight. He has given many other solo performances and also assisted his illustrious father at concerts all over the world. Over the years today, Ayaan has carved out a special niche for himself in the world of music. His approach, vision and versatility make him an icon for the youth in the music industry. His contribution in making the Sarod a cross-over instrument in a variety of genres has projected him as an artist of high repute. Ayaan has won the hearts of music lovers both in India and abroad. He made his UK debut in 1989 and US Debut in 1991 at the Asia Society in New York. From 1997 onwards Ayaan has performed regularly at the Carnegie Hall and Smithsonian in the US, Palais Beaux-Arts in Brussels, Chicago Symphony Center, ESPLANADE in Singapore, Summer Arts Festival in Seattle, Edinburgh Music Festival and the Royal Festival Hall in London. Ayaan made his debut tour in Australia early this year. He has also played concerts at the WOMAD Festival in Adelaide and New Plymouth, World Beat Festival in Brisbane WOMAD Rivermead Festival in UK, and the Opera House in Sydney. Ayaan performed at St. James Palace in July 1997 for the Temenos Academy and has also collaborated with the noted Cellist Mathew Barley of UK at the Royal Festival Hall in 2002. In July 2002, Ayaan conducted a workshop for the National Youth Orchestra of UK with Matthew Barley which followed by a concert with the NYO. In 2000, Ayaan joined his father at the Dalai Lama’s Sacred Music Festival inauguration in New Delhi. Over the years Ayaan has been a regular performer at Konzerthaus in Vienna, – Symphony Hall in Birmingham, Bridgewater Hall in Manchester, Recital Hall, Het Concertgebouw in Amsterdam, Centre d`Art Contemporain, Geneva and the UN International Labour Organisation auditorium, Geneva. In May 2003, Ayaan performed for Prince Charles his High Grove Estate for Temenos Academy. In 2005 he composed the music score for Roger Christian’s film “American Daylight”. In the following years Ayaan played at Symphony Hall in Fukuoka, New York’s Town Hall, Metropolitan Museum and Salisbury Festival in UK, among other venues across the world. In 2005 Ayaan collaborated with Guitarist Dereck Truks of the Allman Brother’s band at the Savannah Festival. Ayaan also recorded with Real World Records and featured in one solo track in his father’s album Moksha the same year.In July 2006 Ayaan collaborated with Evelyn Glennie at Queen Elisabeth Hall. Ayaan performed at the Central Hall of the Indian Parliament on the commemoration of India’s 60th year of Independence in 2007. The Khans collaborated with American Folk artist Carrie Newcomer at Lotus Arts Festival in Bloomington and also performed at The Palace of Fine Arts in San Francisco in 2011. Ayaan’s concert at Wigmore Hall along with his father released under the Live at Wgmore Hall series was recorded in 2010. In 2009, Ayaan played at the United Nations in New York in presence of Ban Ki Moon to commemorate the Ode to Peace Concert along with his Father. Along with his many solo classical albums, Ayaan has crossed the bridge between Indian music and a variety of genres with his electronica and lounge albums like ‘Reincarnation’, ‘Truth’, ‘Mysic Dunes’, ‘Passion’ and ‘Dreamz’. He also released two albums titled “The Music Room” and “Sarod Symphony” with his father and guru in 2010. 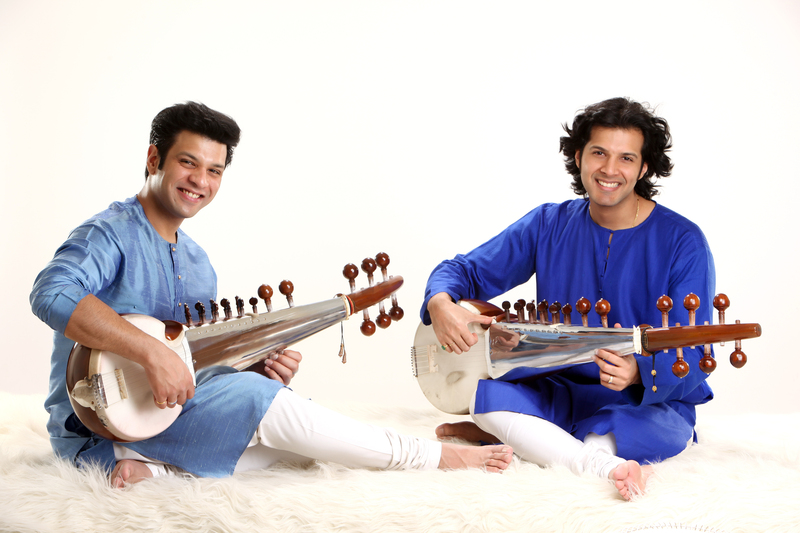 The latest album Rang – Colors of Sufism was released in March 2012 featuring Amaan and Ayaan’s interpretations of traditional Qawwalis on the Sarod. From 2000 to 2001, Ayaan hosted a very popular music and talent show air on Zee TV called ‘Sa Re Ga Ma’, with his brother. Bestowed with the MTV’s Lycra Award for the Most Stylish person in Music in 2006, Ayaan was honoured by the Mayor of the City of Tulsa, Oklahoma with the Keys to the City along with an Honorary Citizenship and the Bharat Shiromani Award for Instrumental music in 2007. In November 2002, Ayaan co-authored a book with his brother, Amaan titled ‘Abba-God’s Greatest Gift to us’. This book was on his father’s life and was published by Roli Books, Lustre Publications under the ‘Family Pride Series’. In 2010 Ayaan and Amaan, released their second book titled “50 Maestros 50 Recordings” which was published by Harper Collins. Earlier this year Ananta Opus 195, a concerto for sarod, symphonic and electronic orchestra Written by Pierre Thilloy and performed by Sarod maestro Amjad Ali Khan, Amaan Ali Khan and Ayaan Ali Khan with the Avignon Provence Symphonic Orchestra and the Kords Collective, conducted by Samuel Jean premiered in India. A passion for music decided Noreen’s career as a presenter. She spent her early days tuning a violin, playing oboe and performing in a steel band. In 2003 Noreen began presenting for a local hospital radio show, before joining the Sonik Gurus to play keyboard. After touring the world as a musician, Noreen returned home, unpacked her bags and began presenting for the radio station Club Asia. 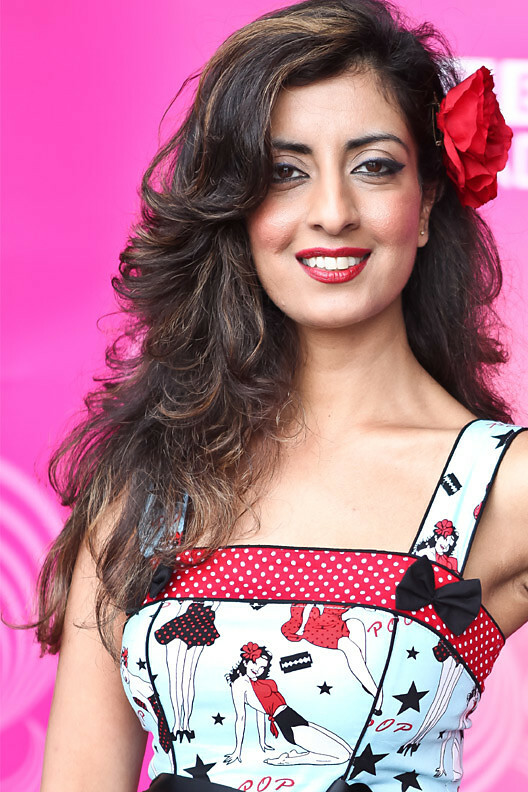 It wasn’t long before her love for music and cheery personality saw her headhunted by the BBC Asian Network and in 2007 Noreen joined as the host of the Asian Network Chart Show. She moved to the Weekend Breakfast show two years later, before taking the helm at Drivetime in June 2010. You might have also seen Noreen on TV where she hosts The Fizzy Quiz Show on Brit Asia. Off the mic, Noreen likes to get behind the decks to DJ and play the music she is so passionate about. Suzi began presenting at Sunrise Radio in 1990. Her fun and friendly personality resonated with the listeners of the Bollywood Top 20 chart show. Suzi went on to present a number of flagship shows including Breakfast, and hosted live events with Asian stars. During that time, Suzi also worked with ITN’s multi-media division ITN On – presenting weekly show ‘Bollywood Insider’. Suzi now presents BBC Asian Network’s Official Asian Download Chart Show – the world’s only sales-based Asian music chart. She has a real verve for radio and believes music speaks everyone’s language. London born, Kan-D-Man kick-started his music career when he released ‘The Undergraduate’, a solo mix CD in 2005. 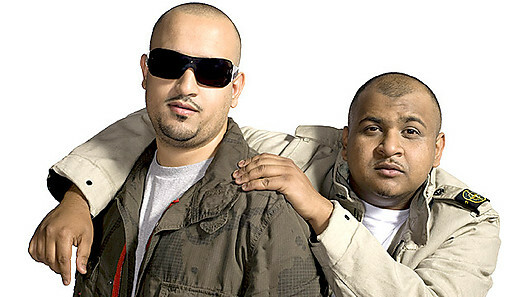 The album was played on BBC Asian Network, Radio and 1Xtra and secured Kan-D-Man’s music credentials. He is a member of the organisation ‘Chronicle Entertainment’ consisting of London’s Asian Youth MCs, which has helped Asian street music to develop. Away from the mic Kan-D-Man shows his more serious side, studying for a law degree. East Londoner, DJ Limelight is passionate about new music. He is a founding member of the collective ‘Chronicle Entertainment’ consisting of London’s Asian Youth MCs, including Kan-D-Man, Raver and Spitfya. He has hosted, mixed and presented as series of compilation CDs, working with MC Ghetto, Triggs Vega and Dawn Penn. Limelight loves showcasing the new wave of young UK talent on Mic Check. In his spare time he is studying for a degree in English Language. Manchester born Yasser’s career began at the tender age of twelve when he was employed by CBBC to take part in a number of shows across the channel. Throughout his school years he was a regular volunteer at his local hospital radio station. His interest in radio presenting began here. Whist at University, he volunteered at Leeds’ biggest community radio station Fever FM and presented an evening show. A year later, he was offered the prestigious early morning breakfast slot. It was not long until he was approached by Asian Sound Radio, to host their chart show. Still doing his degree, Yasser was also involved in his student radio station LSR.FM where he presented his comedy show, The Lazy Eskimo Show and a specialist Asian Beats music show. He has been nominated for Best Male Presenter and Best Specialist Music show at the BBC Radio 1 National Student Radio awards and 4 National Student Television awards, including Best On-screen male and Best Comedy on Met TV. Aside from his radio work, Yasser is also a successful DJ. His unique ability to mix and scratch secured him weekly residencies at some of the biggest clubs in the country, including Sankeys Manchester and the Warehouse Leeds, both in the top 100 clubs in the world. Yasser is an avid and popular Youtube user in his spare time. ‘Mr Yazzur’ as he is known online – has a unique presenting style, quick wit and sense of humour that attracts hundreds of thousands of hits across the world on his comedy videos. Having spent some time at Capital FM, Yasser now presents a flagship new music show on Friday night’s on the BBC Asian Network – a National digital radio station celebrating British Asian and Bollywood music, culture and lifestyle. Nihal’s love of music started a journey that took in rapping, music PR, journalsim, DJing and ultimately TV and Radio presenting. 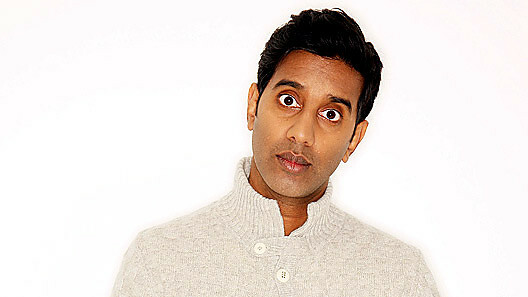 Essex born Nihal started promoting rap shows while still doing his ‘A’ Levels. By the time he had graduated he was working in music PR for artists as diverse as Nitin Sawhney, Judge Jules and Elton John, as well as the groundbreaking label Outcaste Records. Nihal is also an artist in his own right, and has rapped with Fun Da Mental, Sona Family and Badmarsh & Shri. He has also DJed all over the world. Since graduating Nihal has worked as a music journalist, writing for Asiana, Eastern Eye, Mixmag and the Observer. His expertise has seen him in demand on TV and he has appeared on ‘Never Mind The Buzzcocks’, Channel 4 Documentaries, as well as presenting BBC 2’s Desi DNA. In 2007 Nihal began presenting the mid-morning phone-in show on BBC Asian Network, before moving to his current afternoon slot. In 2010 his show won a Sony Gold Award for ‘Best Speech Programme’. He also presents The Review Show and Nihal on BBC Radio 1, where he continues to help promote Asian music. Away from music and broadcasting, Football is his other great love. Nihal went to the same school as Glenn Hoddle so there was never any doubt that he was going to be a die-hard Spurs fan. His passion for sport saw him become a cultural ambassador for the successful London 2012 Olympic Bid. 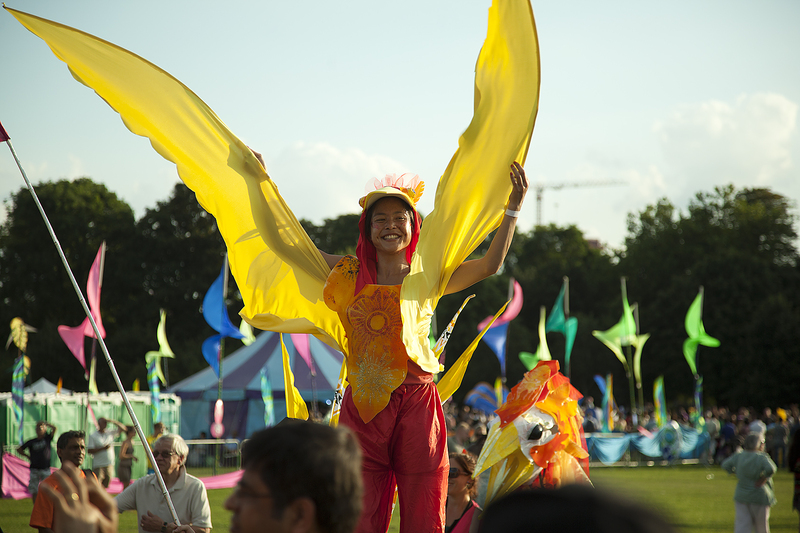 The 02 London Mela – Europe’s largest outdoor Asian festival is again set to transform Gunnersbury Park, on Sunday 19 August, with nine zones of urban, classical and experimental music, DJs, dance, visual arts, children’s activities and food. 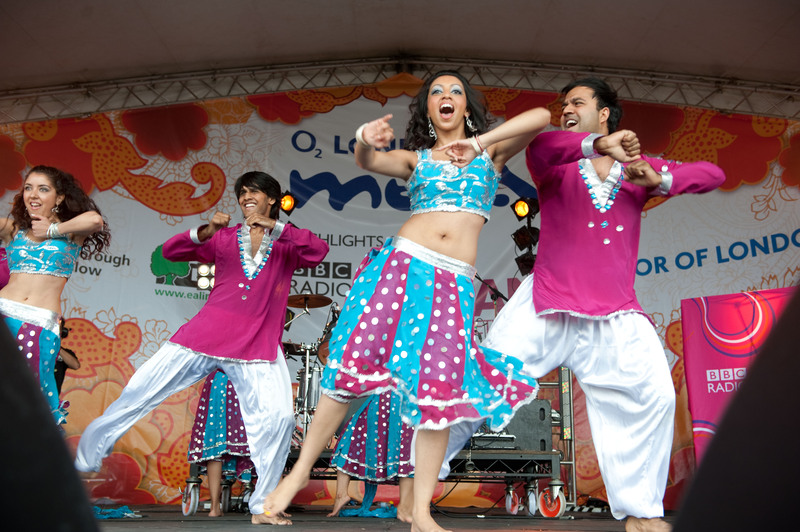 Free and family-friendly, the 02 London Mela is produced by Ealing Council and supported by the Mayor of London and London Borough of Hounslow, with BBC Asian Network collaborating with the organisers to programme the main stage. The festival features some of the best homegrown and international artists, offering something for all generations of every community to enjoy. 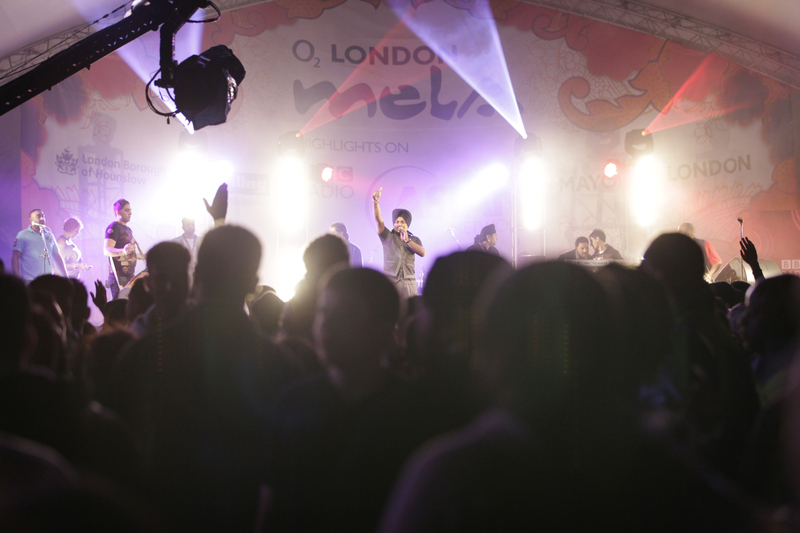 This year the O2 London Mela celebrates its 10th birthday and the Olympics coming to London. To mark these special occasions we’re celebrating in spectacular style presenting two large-scale new commissions; The Mela Carnival, featuring hundreds of community participants, jaw dropping floats and live music which will precede an evening classical concert with fireworks. The concert will feature one of the world’s greatest orchestras, The Philharmonia in ground breaking collaboration with Jaz Dhami and Bhaven Centre Indian classical musicians. This year we are also proud to be hosting the Mayor of London’s Eid celebrations. The Embracing Eid Stage will feature a range of talented Islamic artists and performers. The one-day event will feature nine ‘zones’ with The Main Stage, BBC Asian Network Mix Tent curated by BBC Radio 1’s Nihal (with music from BBC Asian Network DJs), BBC Introducing curated by DJ Bobby Friction, Community & Kids Zone, Outdoor Arts and ‘In Conversation With’ tent, as well as food markets and a huge funfair. Jaz Dhami: After the huge success of his debut album, Jaz Dhami hits the main stage with tracks from his second “as yet untitled” album. Producers featuring on the album include Honey Singh, Zeus, Aman Hayer, Tru-Skool, Eren E & Tigerstyle.Jaz will also be collaborating with the Philharmonia Orchestra at this year’s London Mela in what promises to be a once in a lifetime experience. DJ Sanj feat Jay Status – currently riding high in the Official Asian Download Chart, Music Producer DJ Sanj presents his protégé Jay Status. The duo will be performing hits from their forthcoming album “Bad Boyz”, including this year’s smash hits Katal Kare & Chugliyan. The Philharmonia Orchestra will be performing the London premiere of “Indra”, composed by distinguished onetime local resident Gustav Holst, as well as collaborating with The Bollywoood Brass Band, Jaz Dhami and Indian classical musicians from the Bhavan Centre performing two movements from Ravi Shankar’s “Symphony”. The Embracing Eid Stage celebrates the music of Islamic artists with U-Cef, Poetic Pilgrimage, Celt Islam, Shafeek Ibrahim, Cheb Nacim, Abdullah Chhadeh and is headlined by Ustad Ali Hafeez Khan. 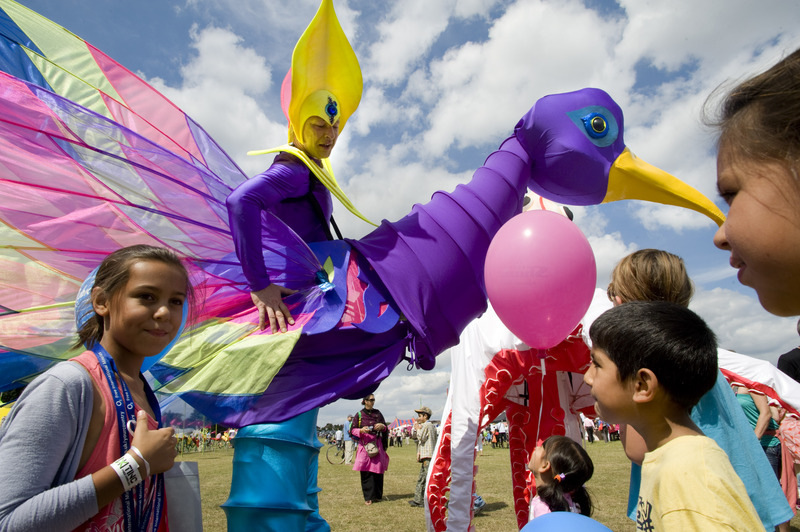 The Mela Carnival – featuring London Mela commissions The Guruda, and In the Doldrums – plus motorised Elephant and Turtle floats, hundreds of community participants as well as live music from the Dhol Academy and the Bollywood Brass Band. The Mela Carnival will also feature contributions from the embassy of Nepal. 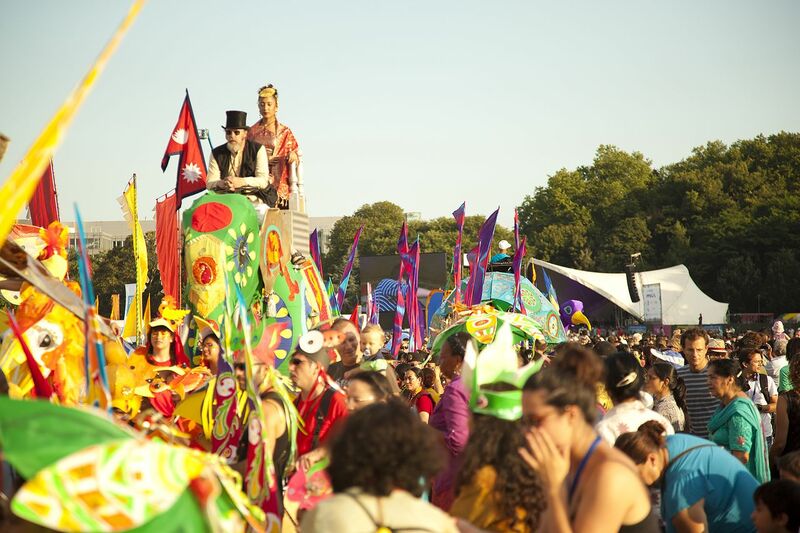 The London Mela Carnival is produced by long-term collaborators, Emergency Exit Arts, the established London-based outdoor arts and carnival specialists. Red Poppy, aka Beijing Red Poppy Ladies’ Percussion Ensemble are being flown in specially for the period of the Olympic games. 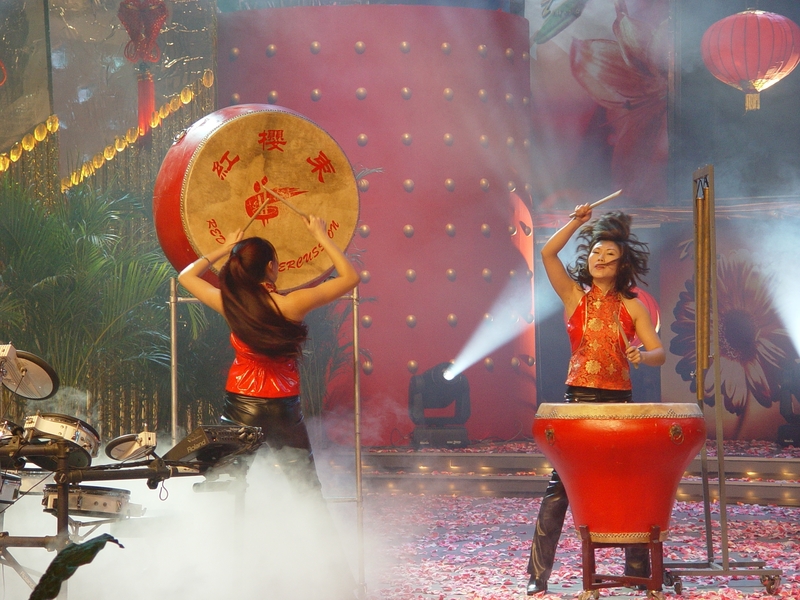 Red Poppy’s unique artistic style combines traditional and contemporary musical influences, maximising the drama and colour of Chinese and western drumming to create an audio-visual extravaganza that shakes the stage and the senses. O2 London Mela is a not-for-profit event produced by Remarkable Productions on behalf of the London Borough of Ealing and the London Borough of Hounslow. The O2 London Mela is produced in partnership with BBC Asian Network, BBC London and BBC Introducing, with programming by Nutkhut and supported by the Embassy of Nepal. 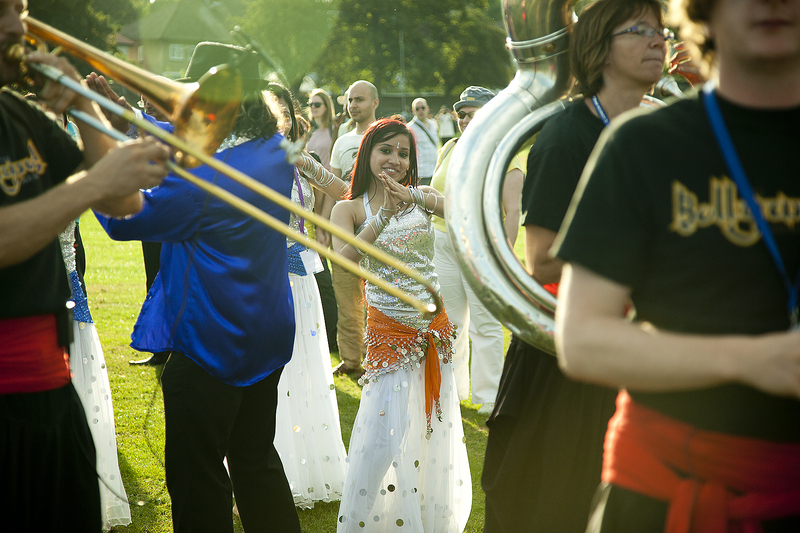 The Mela Carnival and the concert by The Philharmonia Orchestra are supported by Arts Council England. This year’s Official Charity Partners are: Oxfam and British Heart Foundation. The event is sponsored by O2 and Khukuri. The event’s media partner is BBC Asian Network and Eastern Eye newspaper. Regular updates will be posted online at http://www.londonmela.org please check the website for details.